CMSI and our years of excellent workmanship and customer service have been used to insulate equipment, systems, processes, structures, as well as numerous other specially contracted projects. Structural[Bulkhead and Overhead(Hull Insulation) onboard US Naval Ships is a specialized Industry skill that CMSI has been performing for over two decades]. With quality and efficiency the work has spoke for itself making CMSI a prominent presence for both East and West Coast Ship Repair. Years of completed overhauls contracted soley to CMSI Decking Division. A wide variety of deck coverings, underlayments, and specialty coating systems for marine applications. 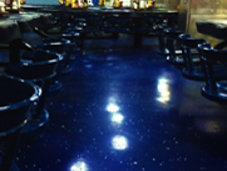 Designed for both wet and dry spaces in accordance with IMO and U.S Military specifications on military ships, commercial vessels, off-shore platforms, working boats, cruise ships, and ferries.